A nurturing and healing environment is critical to positive rehabilitation outcomes. 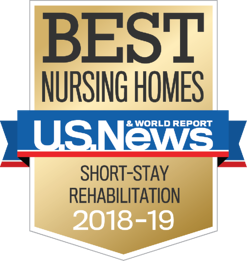 This can’t be accomplished without a wonderful and caring nursing and therapy staff. You can find all of this at Bishop Wicke Health and Rehab Center! The results of our most recent Patient Satisfaction Survey speak for themselves!